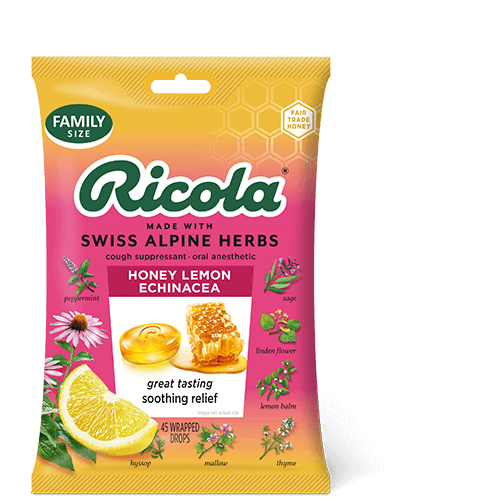 Soothe your coughs and relieve your mild sore throats using Ricola Honey Lemon with Echinacea. Its pleasing taste comes from real golden honey with refreshing herbal lemon balm. 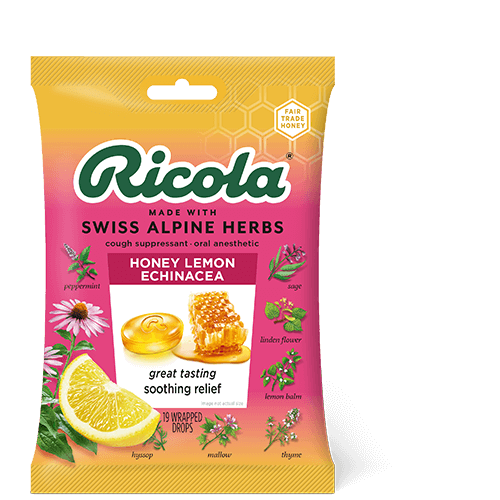 Plus, we add Echinacea extracts along with our famous Swiss mountain herbs. Making it one flavorful drop of goodness.